Stop Wasting Your Life and Start Living Your Passion! Ready to enjoy your life? Want to live to your full potential? 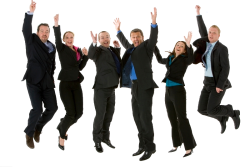 A fun & easy course designed for people who have realized there is more to life than a 9 to 5 job and need a jolt to get them moving in the right place! 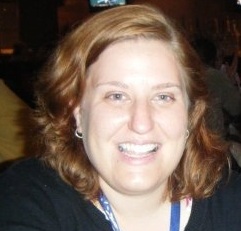 Unleash Your Passions in 10 Days!™ online course. learn how to free yourself from your roadblocks. get excited to stop waiting and start living. rid yourself of time wasters. discover the steps to live your dreams today. increase the ease and fun in your life! Are you happy with where your life is now? Imagine, imagine what it would be like if you were able to take that idea you have in your head, that idea that you have been planning on implementing for the last few years. You have made many excuses. Now is the time to stop making excuses, to step out and serve this world with your passion! 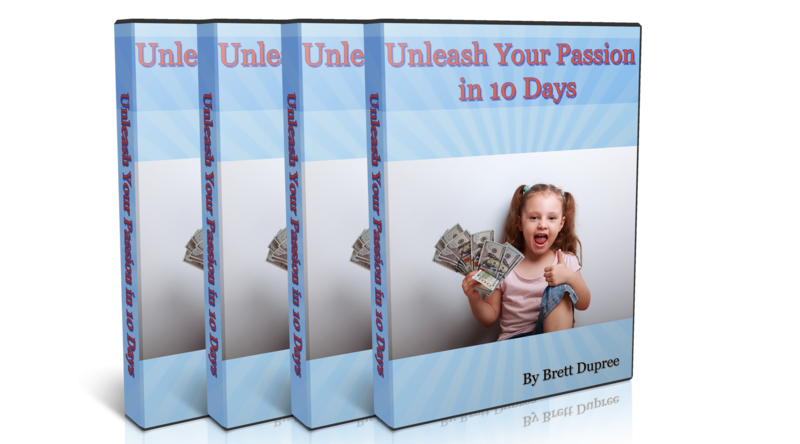 Unleash Your Passions in 10 Days!™ is created by the Champion of Authentic Joy Brett Dupree. Brett Dupree the author of the book Joyous Expansion: Unleash Your Passions to Lead an Inspired Life. Growing up, Brett was a person who lived in absolute fear. He did not feel close to anyone, hated public speaking and did not even like hugging. He understands what it is like to not go for it and live a mediocre life. He wants you to not make the same mistakes he did, so he created, Unleash Your Passions in 10 Days!™ so that you can not suffer the pain of not doing what you love. Now is the time to stop waiting and start living! Give yourself a gift of living your passion! You don't want to look back on your death-bed and wonder what would have happened if you lived your passion. You don't want to look back next year and feel bad about all the wasted time. Give yourself the gift of immediate action. Discover why it's more effective and powerful to experience passion while being guided through inspiring audio and exercises that will get you started, and soon you will be on your way. Ready to leave behind mediocrity and embrace your passion? Ready for amazing and done with being mediocre? Ready to enjoy your life? Ready to embrace who you know you truly? If you reading this, you are ready! Start now to become awesome! 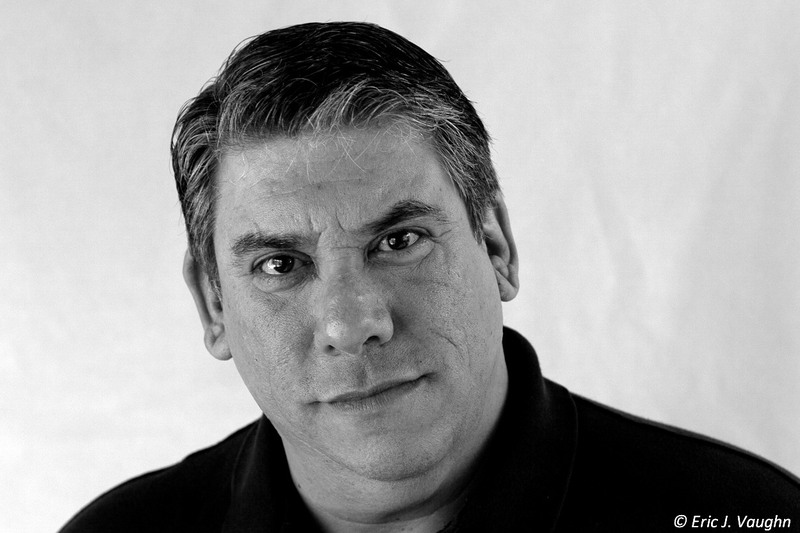 Brett Dupree is the published author, life coach, inspirational speaker and Infinite Possibilities Trainer. Brett Dupree has studied for the last 10 years on how to live a life full of passion and joy. His teaches gave him the name "Champion of Authentic Joy!" He has used all of his expertise and experience in putting together this course. Let Brett Dupree guide you to leading the life of your own creation! 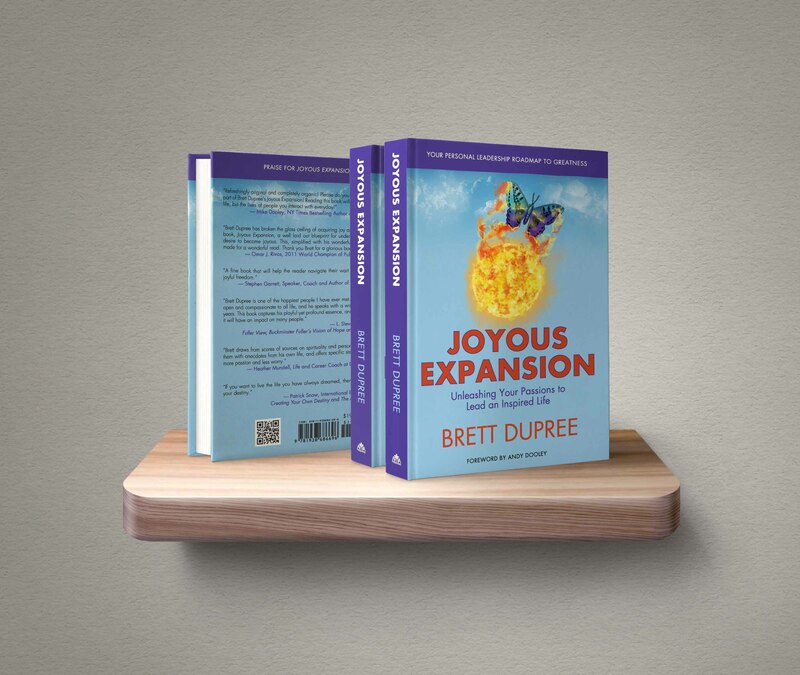 Brett Dupree is the published author of the book Joyous Expansion: Unleashing Your Passions to Lead an Inspired life. 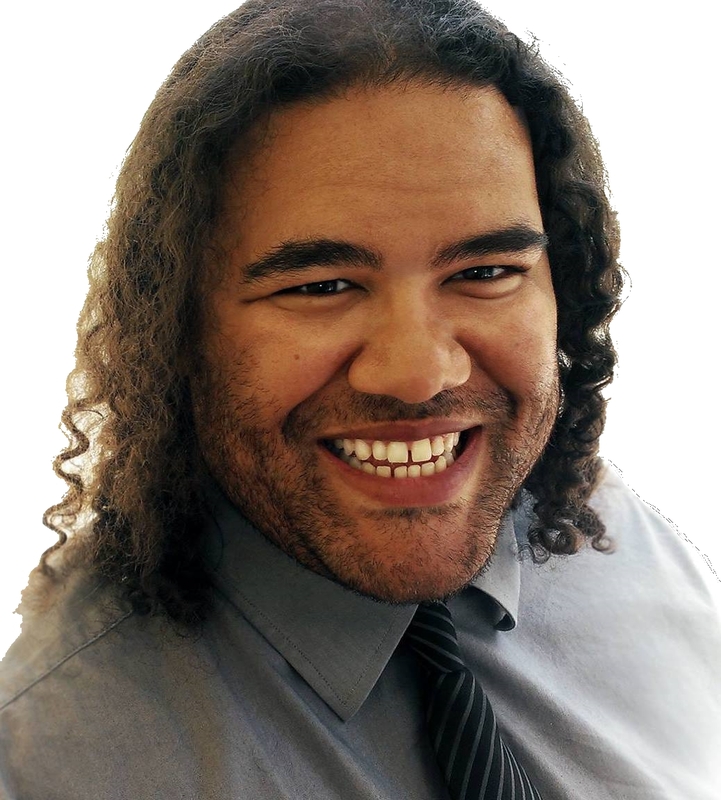 He is an expert in how to escape your boring life and living a fulfilling life with passion. He has spent his last ten years discovering the principles and how-tos to living a life with passion. He has gone through struggles, and he knows how to bounce back through them..
Now, for the first time ever I'm reviling to you years of research and practice I used and I am still using to improve my life every day. This is exactly what I wish I would have had when I started my journey years ago and I am giving it to you now! You have a desire to accomplish your passion! You want to be better tomorrow than you are today. You pride yourself on bringing more joy into your life and this world through your passion! You main life plan includes winning the lottery. Your favorite thing to do in your life is working all day and then coming home and watching television until it is time for bed. You aren't willing to put the work in and expect your passions to just appear out of nowhere. You have a negative attitude and aren't an action-taker. What if I went for my dreams? Why did I settle for mediocrity? Did life have to be so disappointing? My career and relationships are better than they have ever been before. My way of thinking has been forever changed. Now, for the first time ever I'm revealing to you years of research and practice I used and I am still using to improve my life every day. This is exactly what I wish I would have had when I started my journey years ago and I am giving it to you now! Helped me find that direction by making me more aware of how I feel about each area of my life and what I can do to make it better. Unleash Your Passions in 10 Days!™ and live your passion with ease and joy. Unleash Your Passions in 10 Days lets you gain clarity on your passion, so you can live with more clarity it becomes much easier to act, and understanding roadblocks allows you to work through your roadblocks with ease. In addition, Unleash Your Passions in 10 Days!™ will help you to understand your roadblocks and to eliminate procrastination, so you feel excitement for your passion! When you increase ease and fun in your life, you can spend more time with friends and family. When you want to unleash your passions with ease and joy and gain clarity on your passion, you will feel excitement for your passion and eliminate procrastination, reduce struggle and increase satisfaction with your life. When you live your passions, you will have more love and joy in your life. Especially when you have more time with friends and family. 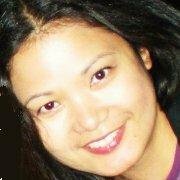 Using Unleash Your Passions in 10 Days!™ you bring out the best in yourself. "A well laid out blueprint for understanding life's elusive desire to become joyous"
Brett Dupree has broken the glass ceiling of acquiring joy and happiness! "Build many great strategies for coping"
When you are ready to unlock the key to success to living your passions, then you're ready for Unleash Your Passions in 10 Days! Now you can get excited for your passion, with more clarity it becomes much easier to act, eliminate procrastination and live the life of your dreams. Unleash Your Passions in 10 Days will help you do what you are meant to do on this plant, not only making your life more full of joy, also making the people around you happier. When you unlock the key to unleashing your passion, there is no limit to what you can accomplish! you are in the same space as you are today in one year? you are on your death-bed wondering if you went for your dream? you have to spend one more moment, looking yourself in the eye, wondering why you are not going for your dream as life is passing you by? You can do this! Your passion is just 10 days away! Unleash Your Passions in 10 Days!™ will get you started on creating the life you desire. Completing this course will be a defining moment in your life. Now is the time to take your life to the next level. Now is the time, do not wait until time goes by. Get started today! Buy Unleash Your Passions in 10 Days today and start creating the life you deserve. I have faith in you. Act now to embrace your destiny! If for whatever reason Unleash Your Passions in 10 Days!™ does not satisfy you in any way, simply cancel your account online within 30 days from purchase and we'll automatically process your refund, no questions asked!